Der (europäische) Föderalist: Europarties: up and coming, or in decline? Whenever I ask my undergraduate students (most of whom study politics and international relations) whether they have heard of the political parties at the European level, or ‘Europarties’, most of them shake their heads. Only those with a very keen interest in political parties might have heard of the two biggest Europarties, the centre-right European People’s Party (EPP) and the centre-left Party of European Socialists (PES). In 2015, there existed around fifteen Europarties. Most people, including my students, have probably not heard of them. This lack of knowledge of Europarties might seem surprising. After all, they have been around for a while. As loose federations of national parties (and under slightly different names) the EPP, PES, and the Liberals (Alliance of Liberals and Democrats for Europe, ALDE) were launched during the 1970s, before the first direct elections of the European Parliament in 1979. Political parties at European level are important as a factor for integration within the Union. They contribute to forming a European awareness and to expressing the political will of the citizens of the Union. As a consequence of legal recognition, the European party federations re-launched themselves in the early 1990s and started referring to themselves as parties. Still, in the eyes of the Europarties, the reference in the EU treaty was not enough. Party elites have since pushed successfully for more regulation, stronger rights, and better resources. Most notably, due to EU-level regulation, Europarties have received an annual budget from the European Parliament since July 2004. The grant can cover up to 85 per cent of their expenditures, while the rest has to be covered by their own resources, such as membership fees from national parties and donations. The amount of money a Europarty gets depends on the number of European Parliament seats it has won. For instance, the European People’s Party, which currently has the highest number of seats, received over € 8 million in funds from the European Parliament in 2015. Europarties can use this grant to pay for: meetings and conferences; publications and advertisements; administrative, personnel and travel costs; and campaign costs linked to European elections. As a consequence of the 2004 regulation, Europarties have become much more institutionalized. They were in a position to set up their headquarters in Brussels with permanent staff. What is more, since 2007, they have created affiliated political foundations (think tanks) that organize events and publish EU policy reports. Hence, Europarties have come a long way since the early 1990s. But do they fulfill the roles and functions set out in the Maastricht Treaty? To what extent do they ‘contribute to forming a European awareness and to expressing the political will of the citizens of the Union’? In order to answer this question, we need to take a closer look at their recent activities and achievements. National political parties are often described as organizations seeking policy, votes, and office. Europarties, in their effort to become ‘real’ parties, have wanted the same. 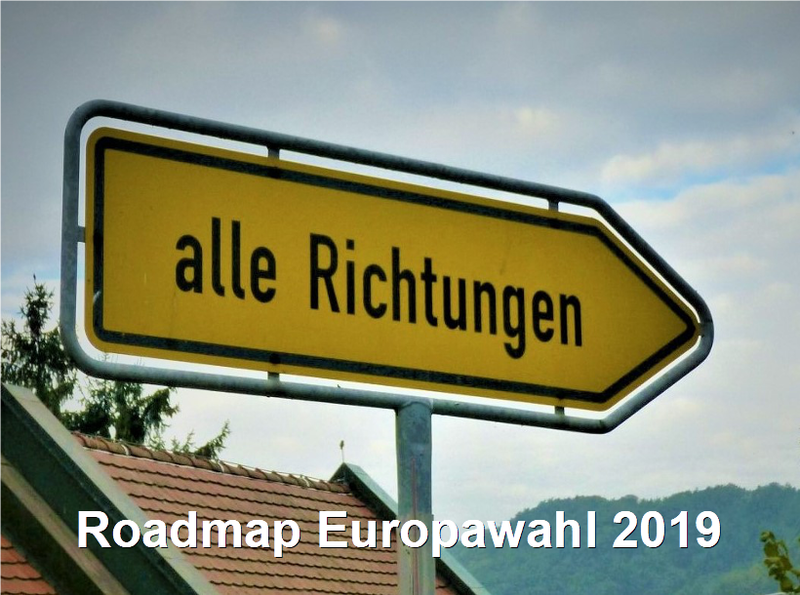 As policy-seeking organizations, they publish increasingly detailed and elaborate election manifestoes with policy pledges ahead of each European parliamentary election. National member parties have a say in the writing of the Europarty manifestoes and they have to ratify them. In addition, the Party of European Socialists published a ‘fundamental programme’ in 2013, outlining their basic values and long-term vision of European integration. Europarties have thus become policy-seeking organizations. Importantly, Europarties have also become more like conventional office-seeking organizations in recent years. In the past, top EU jobs such as the presidency of the European Commission, were negotiated between heads of government behind the closed doors of the European Council. For the first time in July 2013, the main Europarties challenged this practice. A number of MEPs adopted a resolution proposing that Europarties should name their candidates for Commission President well in advance of the 2014 European elections so that they could lead EU-wide campaigns on European issues. The MEPs also suggested that the name and logo of the Europarties should appear on the ballot paper in order to make the Europarties more visible to the voters. 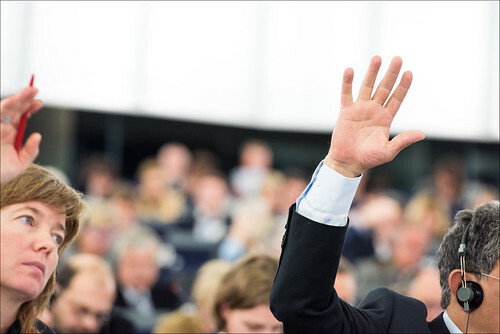 The MEPs expected that the candidate for the European Commission presidency put forward by the largest group in the newly elected European Parliament would be the first to be considered for the post. Next, all major Europarties selected their candidate(s) for the presidency of the European Commission. These ‘Spitzenkandidaten’ (the German word for top candidates) campaigned across Europe in 2014 and appeared together in televised debates. This meant that EU-level politicians such as the president of the European Parliament Martin Schulz and former head of the Eurogroup, Jean-Claude Juncker, were far more visible, and that EU themes were at the forefront of the campaign. For example, topics such as the Eurozone crisis, the future of the Euro, or the Transatlantic Trade and Investment Partnership (TTIP) were discussed by the Spitzenkandidaten. Some heads of government, such as the British Prime Minister David Cameron, disagreed with the whole notion of Spitzenkandidaten, calling the selection processes illegitimate and against the EU Treaty. Despite such concerns, Jean-Claude Juncker, the EPP’s Spitzenkandidat, became the president of the European Commission. The example of the 2014 European election thus illustrates that Europarties have become more like conventional office-seeking parties. It also demonstrates that the Europarties are beginning to contribute to the formation of a ‘European awareness’ amongst Europe’s citizens through their involvement in the election campaign. Yet, despite the Europarties’ increasing efforts in making policy and winning office, their hands are somewhat tied by their member parties. This becomes clear when we consider the third function of parties: the seeking of votes. 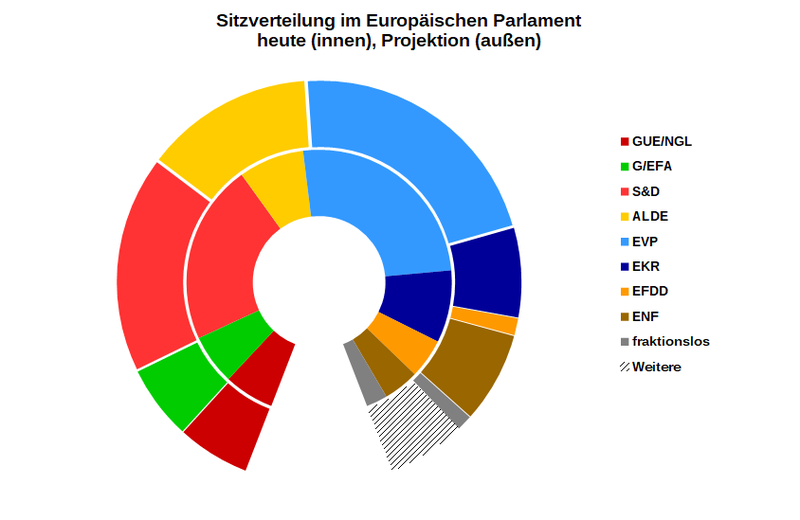 Although the 2014 European parliamentary elections witnessed the rise of the Spitzenkandidaten and the Europarties behind them, national political parties remained in charge of selecting MEP candidates. What is more, it was still the national parties’ role to organize their own election campaigns and identify the key themes. Not surprisingly, the majority of national parties only used their own manifesto during the campaign, rather than the one provided by the Europarty. Most of the major national political parties were keen to remain in the driving seat of the campaign. Thus, national parties still see it as their task to ‘express the political will of the citizens of the Union’ and strongly resist the Europarties’ empowerment. This resistance becomes even clearer when we consider the Europarties’ recent attempts to introduce individual membership. For some Europarties, being a ‘real’ party means having individual members. Until recently, only national parties and a number of affiliated organizations (such as women’s organizations) were allowed to join. This situation has changed, and a number of Europarties, such as the EPP, PES, ALDE and European Green Party (EGP) now allow individuals to join, although the terms and conditions of their membership schemes vary quite significantly. Still, what matters is the fact that until now, only ALDE has granted their individual members voting rights at its annual party conference. And even then, per 500 individual members, one delegate is elected to represent the entire membership, which means that only a handful of individual members are invited and allowed to vote. The other Europarties might invite a few individual members to their annual conference and to certain working group meetings where they allow them to speak. Still, they haven’t given the individual members formal voting rights. For this situation to change, the rulebooks of the PES, EPP, and EGP would have to be amended. Most national parties, however, do not want to see this happening, as they are keen to remain the gatekeepers of party politics in the European Union. Thus, whilst Europarties may be ‘up and coming’, their powers are still curtailed by their member parties. 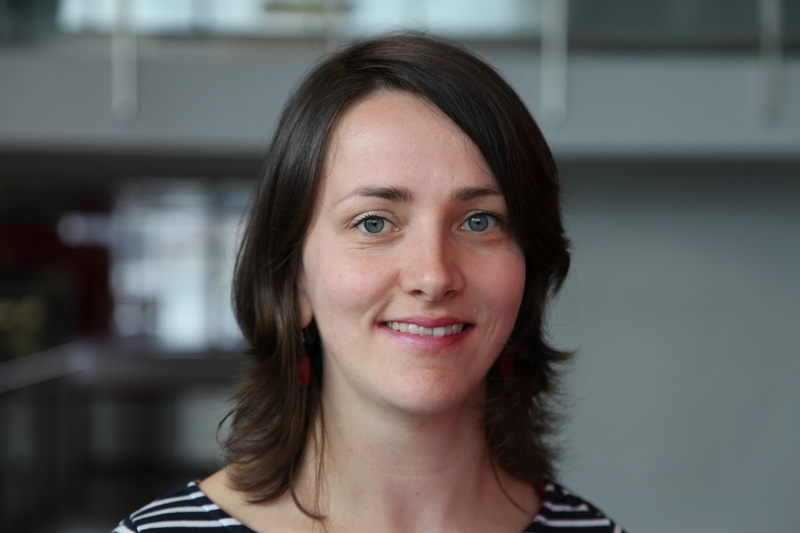 Dr. Isabelle Hertner is a lecturer in German and European Politics and Society at the University of Birmingham. She is also the deputy director of the Institute for German Studies and the director of the Graduate Centre for Europe. Isabelle’s research focuses on Europarties and on national political parties. She currently writes a book on centre-left parties and the European Union. Pictures: European Parliament [CC BY-NC-ND 2.0], via Flickr; Isabelle Hertner.